World Series of Poker bracelet winner David Williams made the final three of season seven of “MasterChef,” but he missed out on the $250,000 grand prize and a cookbook deal in the finale that aired Wednesday night. Williams was facing off against Kentucky school teacher Brandi Mudd and Las Vegas DJ Shaun O’Neale. The show began this spring with 20 contestants. For his appetizer in the finale, Williams went with cured salmon, and it worked out well. However, his main course with guinea hen as the meat didn’t work out so well. The dish was considered risky compared to his competitors’ choices of duck and venison. 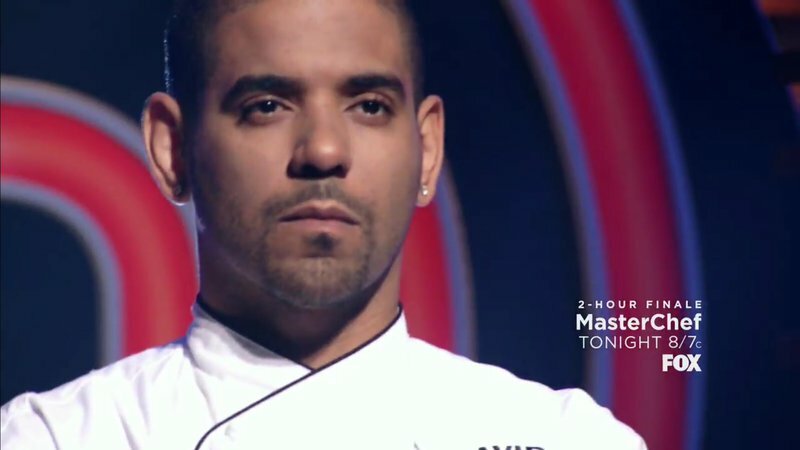 For Williams, his guinea hen was undercooked and received criticism from the judges, and it put him behind in the final cooking challenge going into the dessert round. The Texas native decided to go with stuffed cherries, and though it received praise, it wasn’t enough to overcome his short stack at that stage of the cooking tournament. O’Neale, who went with a tart for his dessert, was selected as the winner. His finish on the reality TV show follows poker pro Vanessa Rousso’s third-place finish on CBS’ “Big Brother” last fall. Rousso received nothing for her deep run. David did great. While he was somewhat petulant and let his emotions get the best of him in some episodes that didn't put him in the best of lights and I criticized him for in an earlier post at the end of the day he is a good guy (AND APPARENTLY GREAT DAD TOO) and accepted his finish with class. Proud of the guy as he truly has a lot of culinary talent. While the guy that did win deserved it I was hoping David would pull out a two outer to take the crown. The winner was somewhat of a douche and his persistent self indulging comments got old. Nonetheless, wasn't in the cards for David though but I am sure his efforts will pay off handsomely in some fashion. Wouldn't be surprised if some folks back him and he opens a restaurant in Vegas one day. His obvious culinary acumen merits hanging his own shingle.